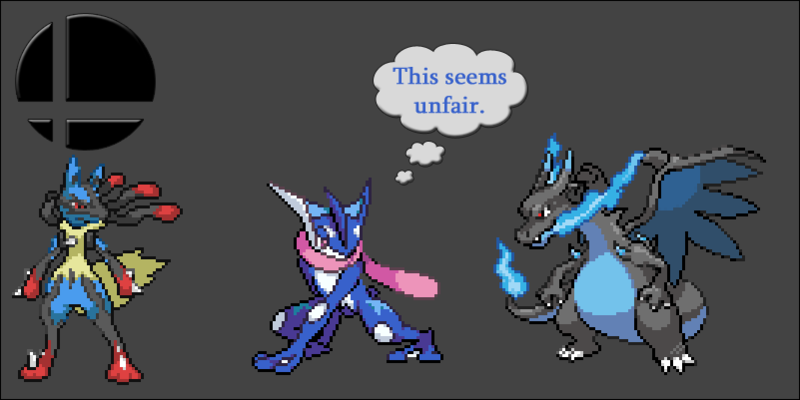 So, anyone keeping up with smash bros news knows that Greninja was just announced for the game. I think it was a great choice, he’s going to fit right in. And yet during his introduction video I noticed they put a lot of emphasis on how the other pokemon get cool new mega evoultions while he just sort of had to deal with it. I’m sure he feels kind of left out.